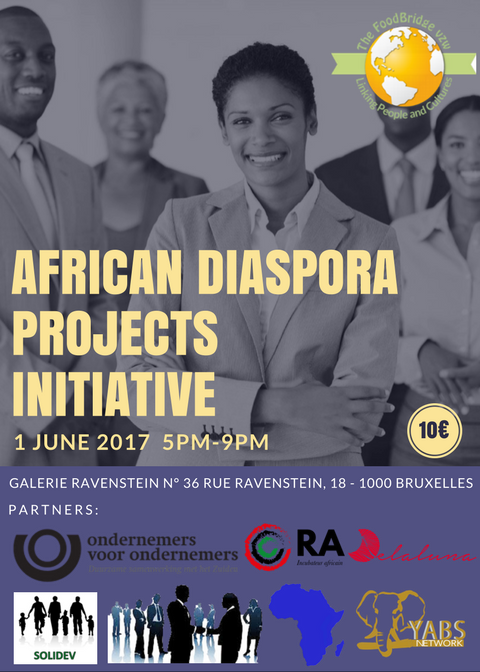 The aim of this initiative is to give members of the African Diaspora with social entrepreneurial ideas and projects, an opportunity to pitch these to a team of experts from Ondernemers voor Ondernemers vzw. Selected projects could get investment of between 5,000€ and 100,000€. Although the focus is on agro-food projects, other projects in affiliated sectors such as transportation, waste management, energy, technology, etc. can also be presented as part of this initiative. The Helping Hand Project cooks, packages and distributes food to the homeless and needy in the Brussels area. 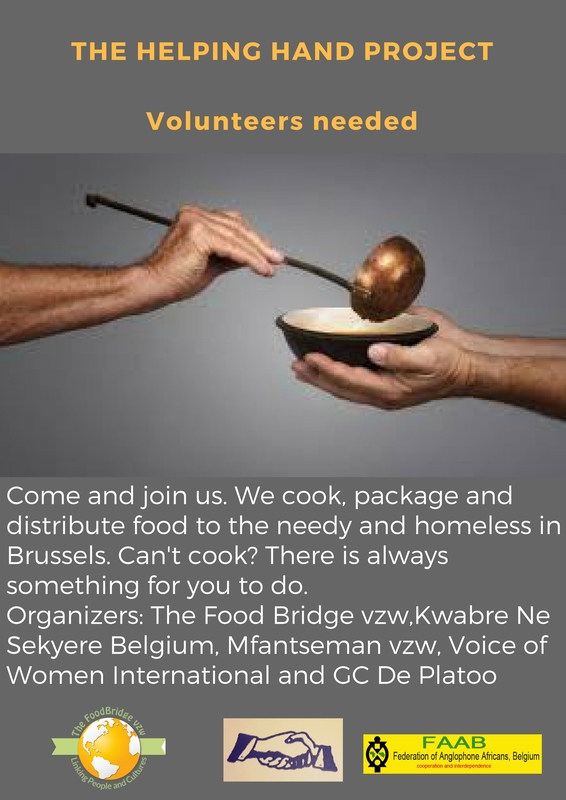 This is an initiative of The Food Bridge vzw and is being carried out in partnership with Kwabre Ne Sekyere Belgium, Mfantseman vzw , Voice of women International and GC De Platoo.